An iconic restaurant hidden within historic and stylish St James’s, synonymous with style and glamour, Quaglino’s, owned by D&D London, serves contemporary European food and legendary cocktails. 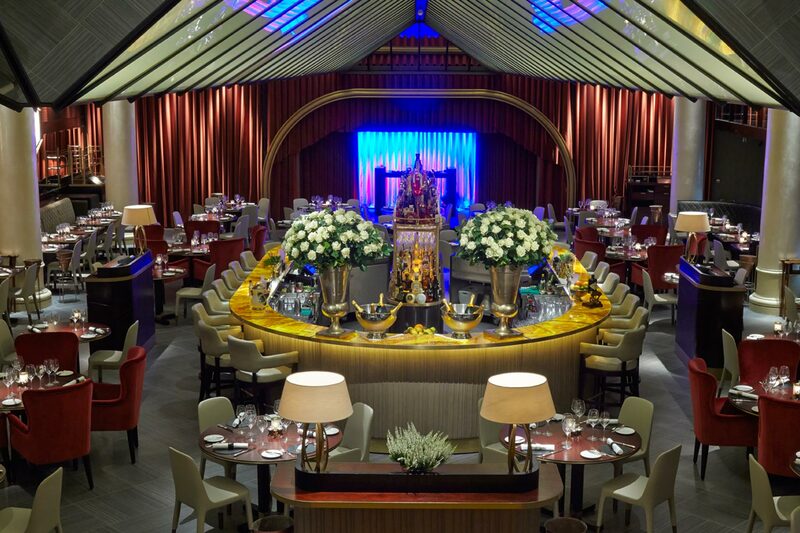 The brief was to provide an invisible audio system that could cater for background music, live music and DJs whilst not detracting from the main function of the venue as a high end Mayfair restaurant. The new system also needed to solve the historical noise problems caused by original system. 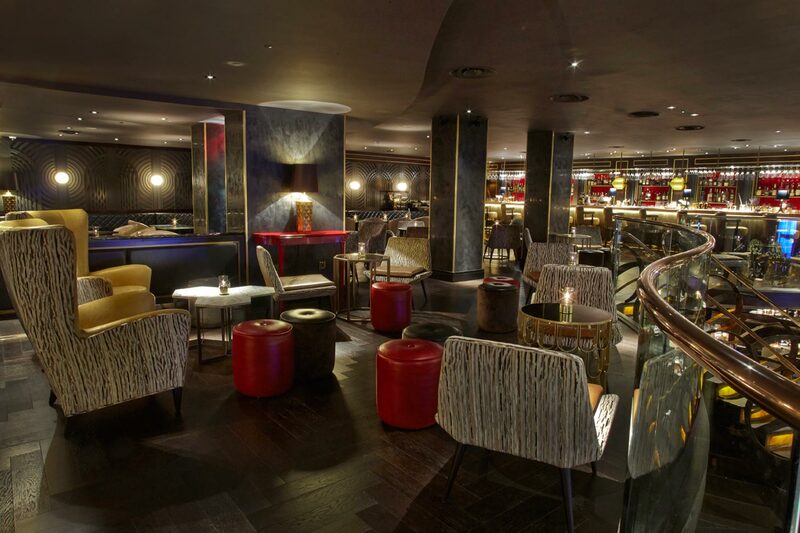 The areas covered included reception, two private dining rooms, a bar, restaurant and all stage audio equipment. We also provided the performance lighting. It was essential that all areas were linked so all audio sources could be routed to each area individually. The restaurant also has a thriving private hire business and is often reconfigured in all sorts of imaginative ways. Connectivity throughout the space for audio and lighting was a key part of the design. The most stand out feature of this project is it’s incredibly hard to tell there are any installed speakers in the Bar & Restaurant, yet it sounds warm and clear throughout. The real challenge was to deal with the room acoustics in the restaurant. 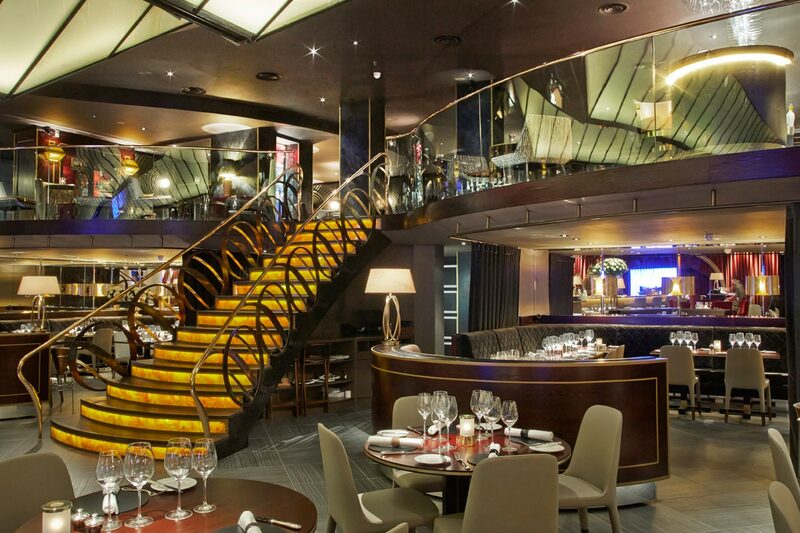 The bar also forms the balcony to the main restaurant which is a double height space. It also has a large lighting feature that runs the length of the restaurant and is made up of two ‘V’s of glass; added to the mirrors and polished plaster it’s a very reverberant space. Our goal was to bring the audio down from ceiling to listener height. This would not only improve the quality of the experience but would also minimise noise leakage to the residential flats above. 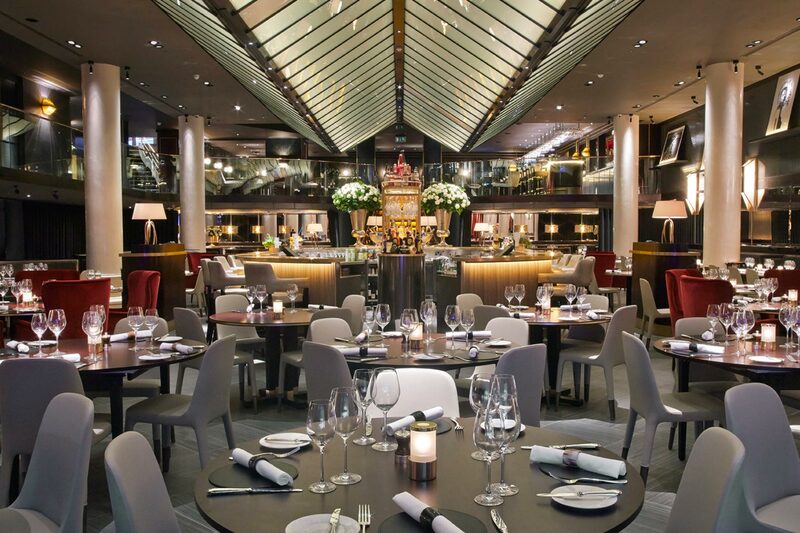 To meet the brief we used KArray 1m and 50cm Kobra speakers installed down both sides of the restaurant just above head height, in horizontal array groups and mounted KKS50 subs in the seating plinths. KT2 bullet speakers were used throughout the venue to provide infill in under balcony areas and alcoves. The Kobra and KKS50 subs were also deployed in the bar to provide the main power. For live music the KK202 system takes over and the rest of the system is used to gently augment the levels so all customers can here the performance comfortably wherever they are sat. A mixture of Chauvet LED Product provide ambient lighting on stage and effects lighting off stage. We also distributed DMX to various points in the ceiling alongside rigging points so external production could easily expand the in house lighting rig for private events. Overall control is through ShowCAD Artist running on a touchscreen in the portable mix position rack. Custom built panels in the restaurant, bar & side of stage allow you to set up your mix position in different locations and also use the house system without the need for the console. Tie lines throughout allow guest productions to bring in additional equipment and deploy very quickly. A combination of PC Interface, touchscreens and volume controls allow staff to route sources to different areas and transit the different modes of operation from morning to night smoothly.